Seven months after the rapper’s murder, XXXTentacion’s girlfriend has given birth to their baby. 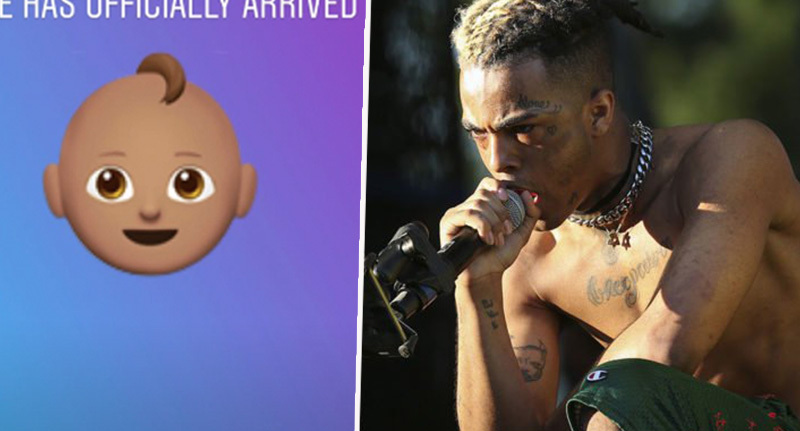 Jenesis Sanchez, the baby’s mother, has named the boy Gekyume Onfroy. He arrives three days after what would have been his father’s 21st birthday. Both mother and baby are said to be healthy. Gekyume is said to be derived from a word XXXTentacion – real name Jahseh Dwayne Ricardo Onfroy – created, and it is reported the rapper chose the name for the baby before he died. According to Complex, the name Gekyume means ‘a different state’, or ‘the next universe of thought’. Gekyume’s name is derived from a word X created prior to his passing, which means “a different state” or “next” universe of thought. 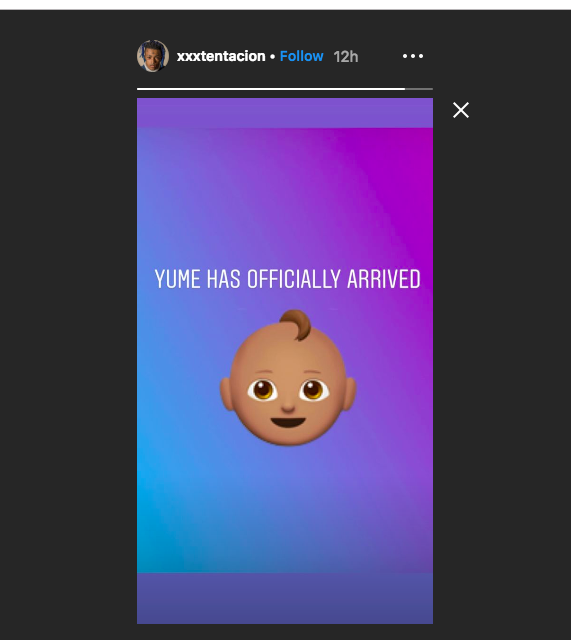 XXXTentacion specifically chose this name for his first-born son; his family is honored to fulfill his wish and shower baby Gekyume with love. Six months after Onfroy was murdered out a motorcycle dealership in Florida, the rapper’s family released his first posthumous album, titled Skins. The 10-track album spans just 19 minutes, and includes the previously released single Bad!, as well as One Minute, which features Kanye West. So much hate at the top, it’s a lonely place […] Now your name is tainted, by the claims they paintin’ / The defendant is guilty, no one blames the plaintiff. Before his death, Onfroy had faced a number of charges, including gun possession, robbery, assault with a deadly weapon and aggravated battery of a pregnant victim. Recordings have also been leaked, in which Onfroy apparently talks about his previous crimes.